A Bad Case of the Dates: What the Cluck? Gabe asked me out to a romantic dinner at a nice restaurant. The menu wasn't too large and right at the outset Gabe asked me if I wouldn't mind ordering a certain salad. I was more in the mood for the chicken dish and I asked him why he wanted me to order the salad. He said, "I was afraid you'd want the chicken. Not only will it make you fatter but there's also something in the chicken here that turns every woman I've brought into a chicken. Please just order the salad." Laughing it off I told him, "You're so strange." In response he pulled out his phone and dialed a number. A moment later he said into it, "Amy? Is that you?" He then put the phone on speaker and I heard a clucking chicken. He hung up the phone and put it back in his pocket. "I took Amy here two weeks ago. She went against my advice and ordered the chicken. Now she's a chicken forever." I was beginning to have some serious second thoughts about this guy. I wanted the chicken so I said, "I think I'm going to order the chicken." He put his hands together and said, "I'm praying that you don't. Please." When the waitress came by and took our orders, he gave me a sour look when I ordered the chicken. He didn't have that much to say to me for the rest of the meal and he begrudgingly paid when the check came. He said, "I don't see why I keep paying for women to turn into chickens." That was over a year ago. Haven't sprouted feathers yet. "Why did you want to take me to a fancy restaurant if you can't afford to, douche?" @JMG - Did this story come in the form of a hand written letter? Was it hard to read? Did everything look like chicken scratch? OP definitely should have left after being told the chicken would "...make you fatter..." but she must have really wanted that chicken pretty bad to stay after that. Oh OP, "you're SO strange". 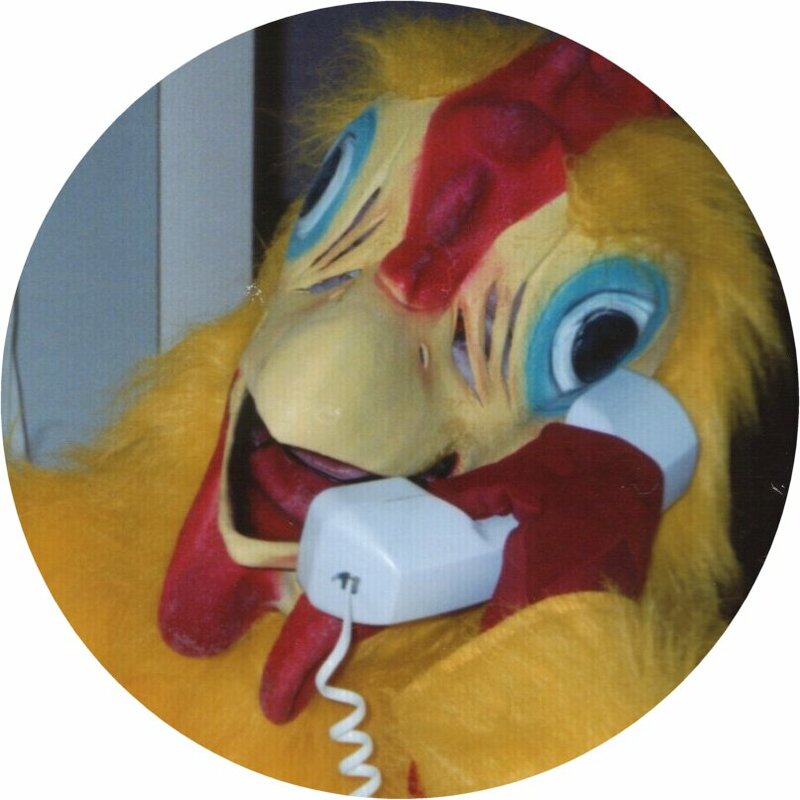 You mean you don't have a chicken on speed dial? I have 3. One back-up and a back-up to the back-up. You can never be too careful. Made me think of Hotline Miami. Lol wow...A really determined cheapskate :P.
Right! I'd just call him out. "Why not get a McChicken? Save you some money and this horrible story." How do we know homeboy wasn't a vegan PETA nutjob? Oh, that's right... if he were vegan, he would have told her. About 8 times.